For years, conservation groups and city officials have recognized the development pressure that could bear down on Haskill Basin, a block of land east of Whitefish owned by F.H. Stoltze Land and Lumber Co.
And for years, those concerns were quelled by a good-faith agreement with the Stoltze family, who for more than a century has maintained its commitment to managing the Haskill parcel as a working forest, rather than leveraging it into a revenue-rich development deal. On Wednesday, that handshake deal was inked into the history books as Whitefish city officials, along with Montana Fish, Wildlife and Parks, Stoltze, and the nonprofit Trust for Public Land, finalized an agreement to furnish permanent protections on 3,020 acres of land in the Haskill Creek watershed. It marks one of the most complex land swaps in state history, according to public land managers, and protects a block of land that sees among the heaviest concentrations of multiple-use in Montana – it is a working forest, a recreational haven, and the source of the lion’s share of Whitefish’s municipal water supply. Turn on the tap in Whitefish and the trickle of water that springs forth likely originated from the cold, clean headwaters of Haskill Creek, which accounts for about 75 percent of the city’s water supply. Closing the deal means the land will be permanently protected to support local timber jobs and important fish and wildlife habitat, while also providing the City of Whitefish with the majority of their water supply and the public with continued opportunities for close-to-home outdoor recreation. 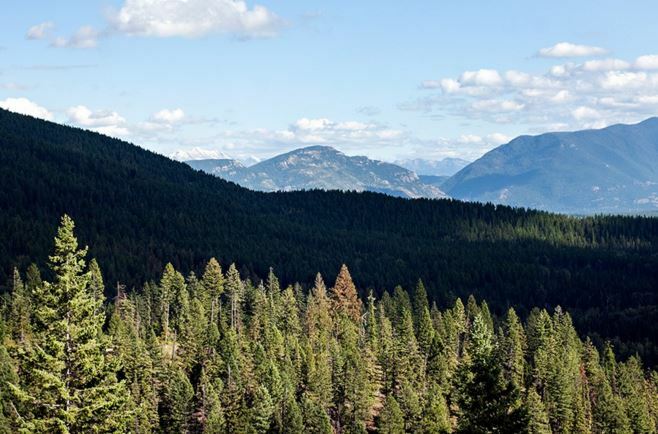 The $16.7 million necessary to pay for the easement came from a hodge-podge of sources, including the City of Whitefish and two federal programs – the U.S. Forest Service’s Forest Legacy Program and the U.S. Fish and Wildlife Service’s Habitat Conservation Plan Land Acquisition Program. F.H. Stoltze Land & Lumber Company also generously agreed to sell the conservation easement at a significant discount below the appraised value. The Forest Legacy Program provides matching grants to states to protect important and threatened forests. It is funded by the Land and Water Conservation Fund (LWCF), which is financed by federal revenues from energy companies drilling for oil and gas in public waters offshore. The Fish and Wildlife Service Habitat Conservation Plan Land Acquisition Program helps to reduce potential for conflicts between species conservation and other land uses and is also funded by the Land and Water Conservation Fund. Chuck Roady, vice president of Stoltze, said the company has long wanted to formalize an agreement with the City of Whitefish to protect the municipal watershed, intakes, and water system located on its private forest lands, but the means to do so remained out of reach. Whitefish Mayor John Muhlfeld said the city was concerned about a private entity buying the property because it provides access to three-quarters of the city’s water supply, without which the city would have to pump and purify water out of Whitefish Lake at an additional expense of $500,000 a year. Last April, voters overwhelmingly approved a 1 percentage point resort tax increase that will help finance the purchase of the Haskill easement. The Haskill Basin project is part of the South Whitefish Range Conservation Project, which will employ a similar funding template to finalize a conservation easement on a 7,150-acre parcel on Trumbull Creek, a chunk of Stoltze-owned land northwest of Columbia Falls. The projects rely on separate funding sources, but have been rolled into the same project due to their proximity and similarities, including analogs between their wildlife habitat, working forestlands, recreational uses, and proposed management actions. The Trumbull Basin easement was last appraised at $12.7 million and will be paid for by $8.5 million in federal grants, including $6.5 million from the Forest Legacy Program and $2 million from the Habitat Conservation and Land Acquisition Program, and $3.2 million in donated land from Stoltze. The Trust for Public Land is still actively seeking an additional $1 million to purchase the easement, which may come from private donors.